This is it, the finale week of the Sewcial Bee Sampler (SBS) and time for Maureen and I to reveal our finished sampler quilts! The last 27 weeks have been incredible. The response and participation to the Sewcial Bee Sampler sew along has been more than my co-host Maureen Cracknell and I could ever imagine. So many new friendships have been formed through the SBS Instagram community and I love hearing how your patchwork sewing skills have been improving through our sewing techniques and tutorials. Thank you for making this so successful. Surprisingly we still have a few new Makers joining our sew along at this late point and will continue to as they see your beautiful finished quilts being posted. 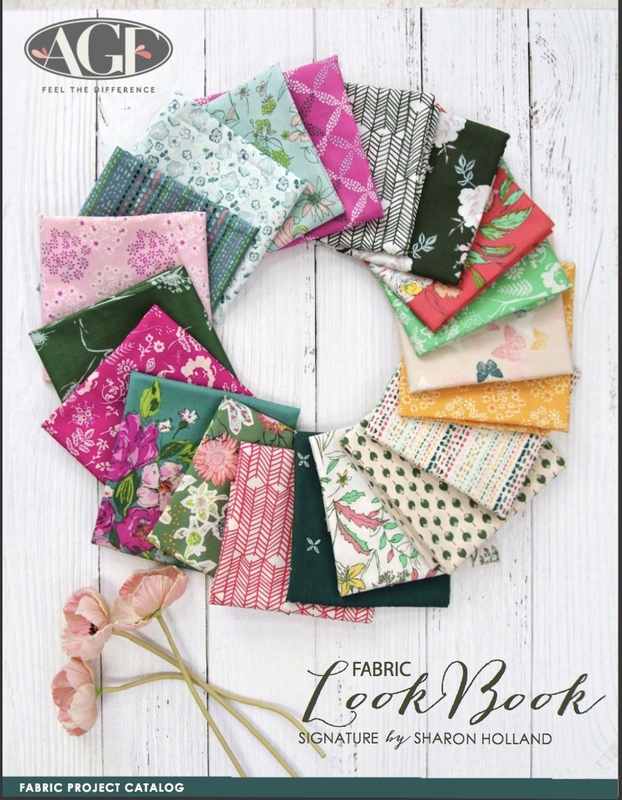 If you're just finding out about us, be sure to take advantage of the in-blog tutorials for the different patchwork techniques used throughout the Sewcial Bee Sampler. Pick up tips and block variations beginning with the first blog post The Start of Something Sewcial. Both Maureen and I will leave all the SBS downloads up on our blogs for you to download long after this event is done. Also, check out the #SewcialBeeSampler hashtag on Instagram, you'll see an amazing array of beautiful blocks and quilts as inspiration overload! Before I get to showing you my finished quilts I want to remind you one last time about our Sewcial Bee Sampler Survey. The survey will only remain open one more week, until August 9th, 2017. To help us better understand what you're looking for in a future sew along, Maureen and I have prepared an 8 question survey. This quick questionnaire is completely anonymous and your answers will give us better insight into serving your needs as a quilter. To ensure the most accurate results, please only take the survey once. Many thanks to the 472 SBS Makers who've already participated in the SBS questionnaire! If you've not yet had a chance to take the survey, please do using this link provided. The link is the same on both Maureen's and my blog and goes to the same survey. So, if you access the questionnaire from either Maureen's site or mine, your answers are compiled to the same place. Originally I only planned to make one sampler quilt but very early into the sew along I could see I wanted to play with more fabric and color options and decided to make two to better show the variety that can be achieved in a project like this. I think each of my quilts has it's own personality as each and everyone of the SBS samplers have a unique point of view from the makers fabric choice, block assembly, and final layout arrangement. That's what makes a project like this so much fun. My original quilt is made with fabrics from my newest Art Gallery Fabrics (AGF) collection called Bountiful. I also added in some coordinating AGF Pure Element solids. I decided to keep the sashing fabric the same as the block frames to make the blocks float on the white background. The batting for my Bountiful SBS sampler is Hobbs Tuscany Wool. This is an exceptionally fine product and makes for a lightweight quilt with extra loft than a cotton type batting. It is a little different machine quilting on wool because of the added loft and takes a little bit of getting used to handling but needle quilts with ease. I chose to do a very simple free motion stitching on this quilt to give it a modern touch. 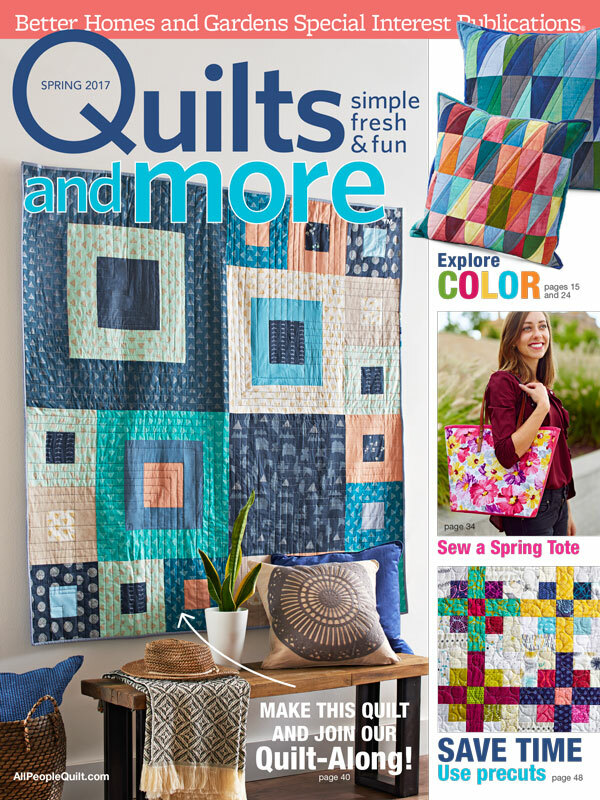 Visit my Shop Fabrics page to find online quilt shops that carry Bountiful. For my second SBS sampler quilt I decided to use fabrics from my first four Art Gallery Fabrics collections with the addition of the new Fusion reprints of my prints. I call my mixed group Tiny Dancer after the Sketchbook fabrics dandelion print by the same name. On my second quilt I used my Sketchbook fabrics Speckled Lapis print for the block frames and a medium blue Mudcloth Blue print from Tapestry for the sashing. Since this quilt had a decidedly feminine quality to it with the colors and floral prints, I chose to stitch a dense, meandering floral machine quilting on it. The batting is the exquisite Hobbs Tuscany Silk batting. Truly the best batting I've ever had the pleasure to work with and works and handles much like a cotton batting. To find shops that carry fabrics from my Gossamer, Sketchbook, Coastline, and Tapestry collections, use the links provided on my Shop Fabrics page. It was so much fun finally putting these blocks together and I love how they both turned out! My daughter helped me photography these over the weekend and I believe she has her eyes set on the Bountiful quilt for her guest bed (it's her favorite fabric collection to date). My year and a half year old granddaughter loved the Tiny Dancer mixed prints quilt and would point out the flowers and butterfly prints. I think someday when she's ready for a big girl bed, that will be her quilt. This Friday we still have another Giveaway Friday and it's going to be a big one! Maureen will be hosting the giveaway from her blog and I will be hosting the Instagram giveaway. Everything will be run as normal with the exception of the giveaway being slightly different in the two social media platforms. More about that on Friday! How did almost 6 months go by so fast!?!? Today we release the final block on the Sewcial Bee Sampler quilt sew along. This is our last block and many of you are wondering about how to put your quilts together and are thinking about the finishing. 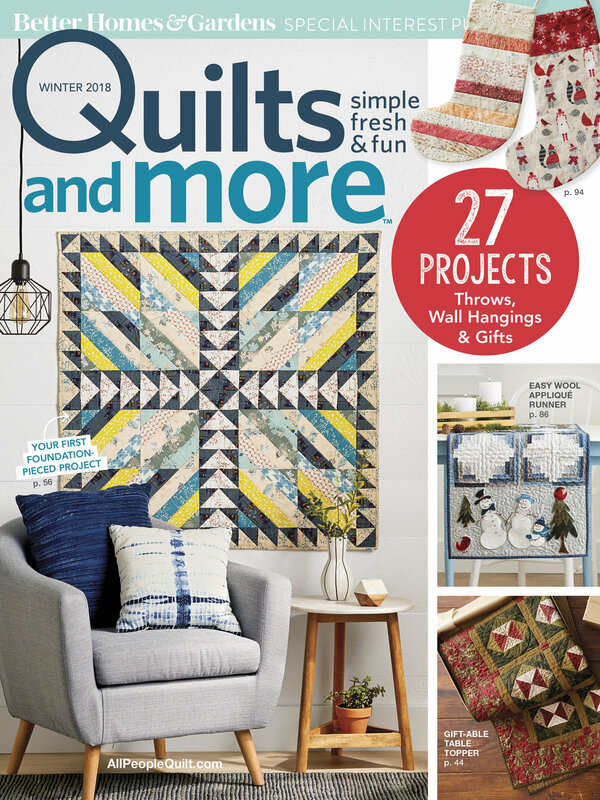 Here's the breakdown: Next Wednesday my co-host Maureen Cracknell and I will post the instructions for Assembling and Finishing your quilt. This will include how to add the sashing, layering the quilt sandwich, and binding. The very first Wednesday of August will be reveal week so everyone can show off their finished quilts, quilt tops, or progress so far. There will be a grand finale prize package on the last Giveaway Friday that will knock your socks off, so stick around, we're almost there! One more week means one more week of giveaways--Yay! If you don't intend to add sashing between your blocks, feel free to start assembling your top, rearranging the block placement to however you'd like. Next week I will have tutorials about adding sashing and finishing your quilt plus other helpful tips. As we near the end of this incredible journey, my co-host, Maureen Cracknell and I are thinking about future collaborations. 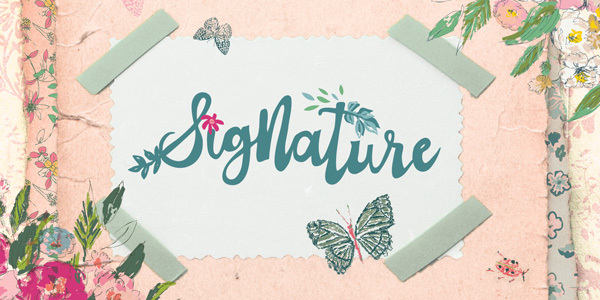 The success of the Sewcial Bee Sampler (SBS) has been phenomenal and mostly because of your participation and the remarkable community you've created out of this sew along. To help us better understand what you're looking for in a future sew along, Maureen and I have prepared an 8 question survey. This quick questionnaire is completely anonymous and your answers will give us better insight into serving your needs as a quilter. To ensure the most accurate results, please only take the survey once. Many thanks to those who've participated in the SBS questionnaire already. If you've not yet had a chance to take the survey, please do, we're only keeping it open now through the end of the SBS sew along and then we'll close the survey. The link provided on both our blogs will link to the same survey. So, if you access the questionnaire from either Maureen's site or mine, your answers are compiled to the same place. 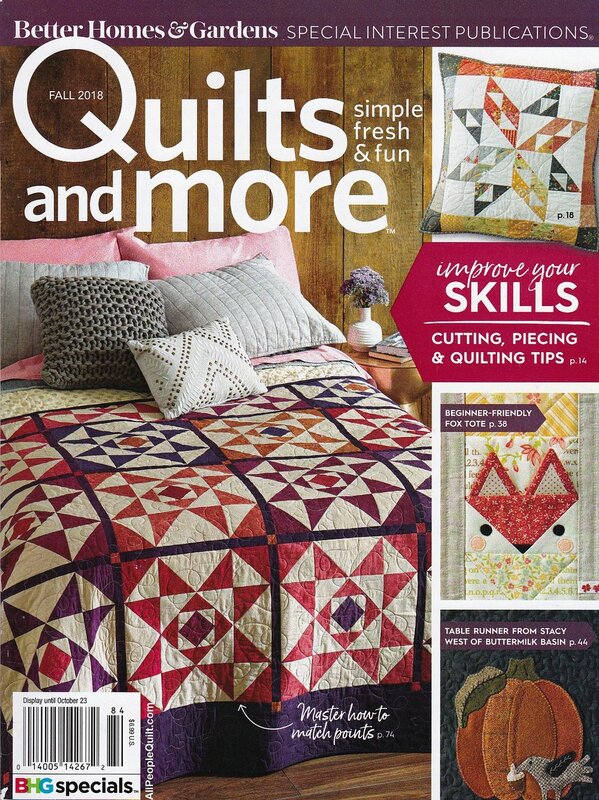 I'm not sure how many new Makers we've got joining our sew along at this late point but anyone just starting may want to take advantage of the in-blog tutorials for the different patchwork techniques used throughout the Sewcial Bee Sampler. Pick up tips and block variations beginning with the first blog post The Start of Something Sewcial. Both Maureen and I will leave all the SBS downloads up on our blogs for you to download long after this event is done. Time to get sewing this week's block #25--Prairie Queen. Download the free PDf for the blocks on my Sew Along page. Our final block will be made using the 2-at-a-time Half Square Triangle (HST) technique combined with basic Four Patch units. Refer back to our past tutorial if you need a refresher on how to make your HST units. We will be making 3-1/2" (unfinished) HST and Four Patch units for this block. 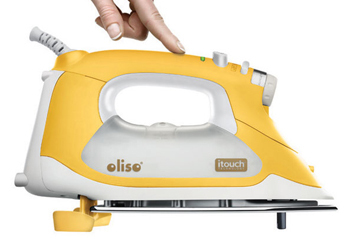 Be mindful and accurate with your seam allowance for maintaining the points of the units when assembling. I have all the blocks made for both my Sewcial Bee Sampler quilts. In the mixed collection quilt made from fabrics from my first four Art Gallery Fabrics collections I chose to stitch our Prairie Queen block as given in the instructions, using only two fabrics (not counting the frame). I've used fabrics from Sketchbook (the frame), Coastline (pink), and Tapestry (blue) and love the way the design pops out in this block. For my SBS quilt made just from Bountiful fabrics and Pure Elements from Art Gallery Fabrics I went with a three-fabric variation. Whichever way you stitch this block you will want to pay special attention to the placement of the squares in the Four Patch units to maintain the correct design of this block. To find shops that carry my various Art Gallery Fabrics collections, visit my Shop Fabrics page. Don't forget that this Friday's Giveaway Friday and this week I will be hosting the giveaway from this blog. We've got a great giveaway planned from Needle and Foot you won't want to miss! Hello SBS Makers, it's Wednesday! With Easter coming up and spring break, I thought you'd enjoy having an easy block this week so you can enjoy the holiday and maybe have more outdoor time. And no, we didn't plan for this to lineup this way, but it will be a nice break from the more complicated blocks we've done the last two weeks. My co-host Maureen Cracknell and I are thrilled with all the blocks being made and the awesome virtual community that's been created by this sew along. We're still seeing new SBS Makers joining us every day so please be sure to welcome the new members and help out where you can with encouragement and any tips you've learned along the way. Thank you for being such a wonderful, supportive community, I know many new friendships have been made because of the SBS. If you're just joining, you may want to start at the beginning of the community sewing bee with my first post The Start of Something Sewcial and work your way up to the present. I've included tips and tutorials with each new block and they can be helpful, especially if you're new to quilting. Download the free Four Square block from my Sew Along page. Block #11 is called Four Square and reminds me of the school playground game where a ball is bounced back and forth between four squares painted on the cement. The block is easy, in that there's no units to sew, you just cut and start putting the block together. I am making two sampler quilts. This first block features my new Bountiful fabrics from Art Gallery fabrics and AGF Pure Elements solid in Grapefruit in the block and Snow white for the frame. There won't be any tutorial today but I do have one thing I need you to do to prepare for this block. I, (your name goes here), do solemnly swear, that I will cut my block pieces out carefully and use a true 1/4" seam allowance! If you need a refresher on using a rotary cutter and ruler to cut pieces as well as how to check for an accurate 1/4" seam allowance read my Perfect Patchwork tutorial. To sew this block, according to the instructions on the free PDF download, you will be making small Log-Cabin-like sections. Each time you add a piece onto the section, the long side of the new piece will perfectly match the length of the sewn section. If you're pieces are not measuring up, you need to make sure they were cut correctly to begin with and/or double check those seam allowance. There shouldn't be any need to trim or fudge the piecing on this block. And just a note about the frame (because I even cut the wrong size on my first block! ): Cut 1-1/4" wide strips like it says in the instructions, not 1-1/2'' wide like I defaulted to. Once you have the unframed block pieced, it should be 11" square. After adding the frames, the block will measure 12-1/2" square. My second sampler quilt is made from a 20-piece curated collection of prints from my first four Art Gallery Fabrics collections. Block #11 uses Sketchbook, Tapestry, and Fusion prints. Also, don't forget that Friday is Giveaway Friday and this week I will be hosting the giveaway from this blog. We've got a great giveaway planned from Intrepid Thread I know you'll not want to miss! Hello Sewcial Bee Sampler Makers, it's time to start our second row of blocks! Since this week's block will be using techniques we've already used in the first five blocks I thought I'd have a little fun and give you some construction options. Go ahead and download block #6--The Seasons from the Sew Along page. 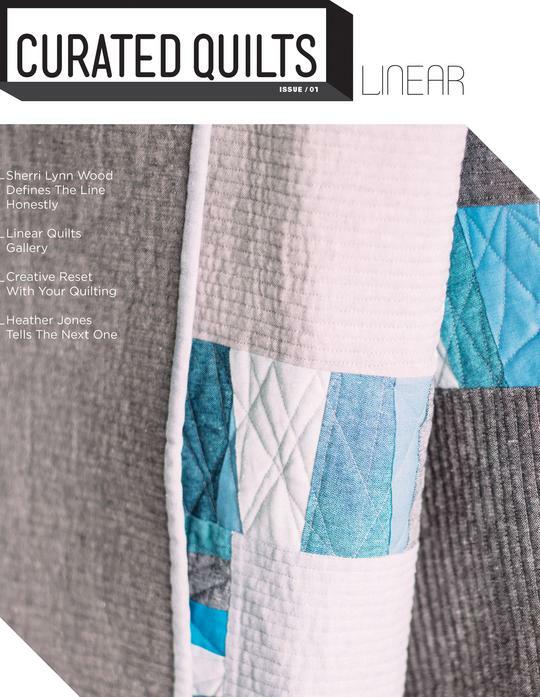 Of course the PDF pattern download has everything you'll need to make the block but I like to add extra tips and hints into my blog post to support beginning quilters. If you're just joining the SBS sew along then you may want to start at the very beginning with the introduction post and work your way up to the present. Now that we're on our sixth block, you're probably realizing there's more than one way to make patchwork units. I want to take everything we've learned so far and show you four options to make this week's block using those different techniques. Please excuse my photos this week, I made these at the end of a rainy day yesterday (Tuesday) and the lighting was terrible! The Seasons block is made up of (4) 2-1/2" squares and (12) 2-1/2" half-square triangles (HST) units for an 8-1/2" block (unfinished and before frames). There's a lot of seams in this block. With that said, I will continue to sound like a broken record each week, and stress the importance of a true 1/4" seam allowance. If your seams are off, even a fraction, that will amount to a big discrepancy in the end because of all the seams involved. 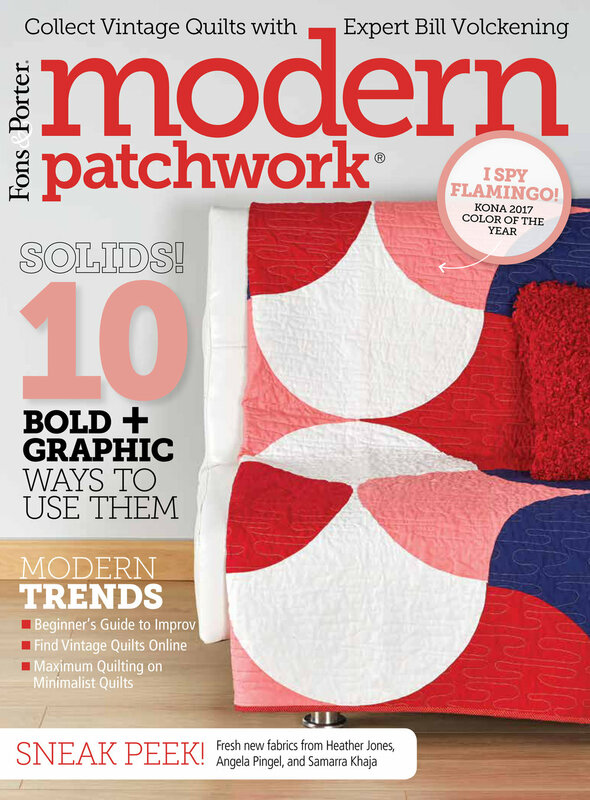 If you need to review my tips on how to check your seam allowance refer back to the Perfect Patchwork post. Also remember that if you're not comfortable cutting the pieces to the exact sizes needed per the instructions and would rather square up your units after sewing to size, refer to the SBS Extras post. Just note that if you are adding 1/8" to the squares on the Flying Geese units from block #5, be sure to add 1/8" (.125) to the large square as well to keep everything in porportion. To make the block as written in the instructions with two different fabrics, follow along with the 2-at-a-time half-square triangle tutorial and make according to the instructions. To make the block look more like a compass I decided to add additional fabrics and visually divide up the center of the block in a checkerboard effect. To achieve this I used the 8-at-a-time HST technique from block #1 and the 2-at-a-time HST technique from Block #2. This will yield 8 matching HSTs (2-1/2" square unfinished), 2 matching HST units (2-1/2" unfinished) of one combo (mine are navy and weave print) and another 2 matching HST units (2-1/2" unfinished) of another combo (navy and peach) for the center of the block. Assemble the block in the same way as given for block #6 in the PDF. The Seasons block made with my new Art Gallery Fabrics collection Bountiful and Pure Element solids. Here's what all six of my Bountiful fabrics sampler looks like so far with PE-433 Snow Pure Elements solid frames. The third way I wanted to play with dividing the four points into four different fabrics. To achieve this look I used the 2-at-a-time HST technique as given in the PDF instructions for this block and from Block #2. Note: This options will leave 4 unused HST units. Sew units and pieces together as given in PDF. The Seasons block made using fabrics from my Gossamer, Sketchbook, and Tapestry fabric collections for Art Gallery Fabrics. Here's what my Tiny Dancer sampler quilt looks like with all six blocks that also include fabrics from my Coastline collection and the two newly re-colored Gossamer prints in the new AGF Fusions fabrics. These blocks are framed with Speckled Lapis from my Sketchbook fabric collection. Again, sorry about the terrible photography! This is for all those fussy cutting lovers out there that may want to have a solid center block for to showcase a special print. This option uses the Flying Geese technique from block #5 and a variation of the Quick Corner units from Block #2. Make four matching Flying Geese units that measure 2-1/2" x 4-1/2". When adding the Quick Corners to the 4-1/2" square, work on diagonally opposite corners when adding fabric. Stitch the small square to the corner of the fussy cut square, trim, and press corner open before adding additional corners. To sew an Option 4 block, arrange the Flying Geese units, center square unit, and (4) 2-1/2" squares into 3 rows of 3 units/squares each. Join the rows. The Seasons block made with my Tapestry and Bountiful fabrics for Art Gallery Fabrics. This is a bonus block and I don't have a third sampler quilt going so this orphan block with get put into something down the line. I hope with wasn't too confusing?!? I just wanted to show you that the power of knowing different patchwork techniques can help you customize your sewing experience on this sew along. 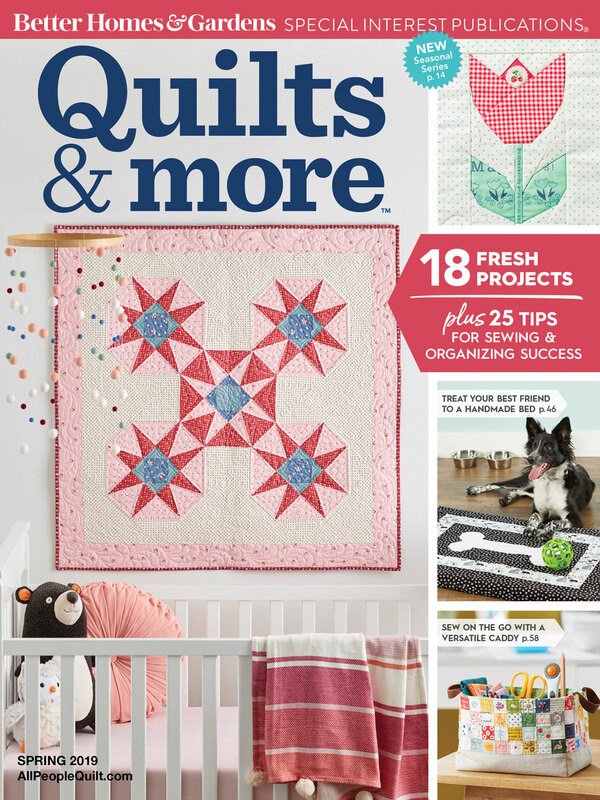 Each week you will have the chance to continue to perfect those skills and grow as a quilter. My co-host Maureen Cracknell and I are continually amazed by the beautiful blocks being posted every week and the joy and excitement each of you bring to our virtual community. Thank you for making this sew along so special. Please be sure to visit Maureen's blog and see the progress she's making on her sampler quilts, she's making two as well using her beautiful AGF fabric collections. Also, don't forget that Friday is Giveaway Friday and this week Maureen will be hosting the giveaway from her blog. We've got a great giveaway planned from Intrepid Thread I know you'll not want to miss!